Advantage Africa is a charity that supports people affected by poverty, disability and HIV to improve their education, health and incomes. 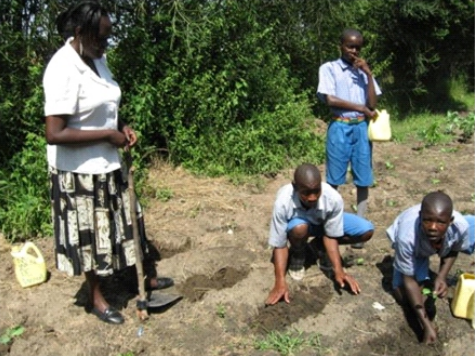 With support from the BFSS, Advantage Africa delivered a two-year project aimed at improving vocational learning and school leaver outcomes and whole school sustainability in special education in Machakos County, Kenya. The funding supported teacher training and resources for vocational learning, new community transition/enterprises for school leavers with special educational needs, ea viable income generating enterprise in two schools, and a Teachers Resource pack. Teachers are adopting and embracing new approaches and strategies for vocational teaching and learning for students with special educational needs. A Teachers’ Resource pack has been developed to improve learning and dissemination. For the final report, please click here.